Residences @ W property development is the newest first-class building by the renowned Cityview Place Holdings Pte Ltd which is ideally situated at Ocean Way, Sentosa Cove at District 4 Singapore. It has an elegant perspective that consists of 7 blocks of residential condominiums in a 6-storey development. 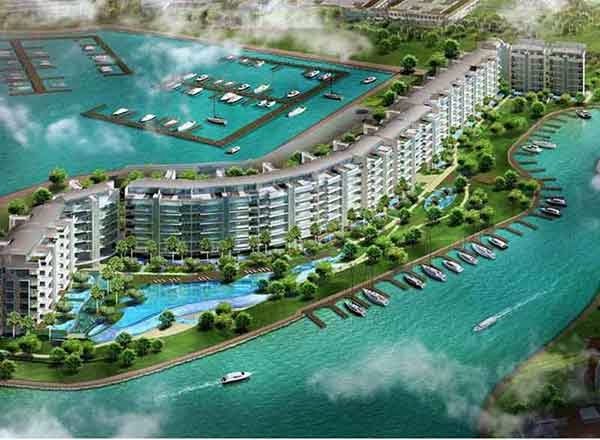 It holds 228 luxurious 2 bedroom, 3 bedroom, and penthouses residential unit. Residences @ W Sentosa Cove showflat is available for preview by appointment. You may call our hotline register using the form below to secure an appointment with us. View Residences @ W Floor Plan and Brochure here. All units are elegantly equipped with up to date condo facilities and adorned with top-of-the-line interior and exterior furnishings. It transcends the highest expectations of comfort living with the relaxing ambiance of an exceptional marina scenery that is within the extravagant Residences @ W.